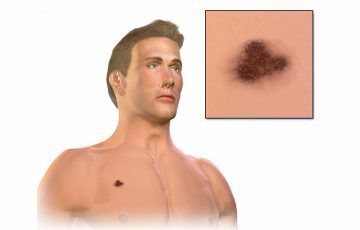 Spitzoid melanoma is a variant of melanoma. It is fairly rare but often misdiagnosed. Most cases are reported in adults. Most spitzoid melanomas evolve from Spitz nevi. A Spitz nevus is a type of mole that exhibits uncommon characteristics. Doctors usually excise these nevi to prevent the possibility of them developing into melanoma. Spitz nevi mostly grow in children before the 20th birthday. When they show up later in life, there are more chances that malignancy will set in. Main characteristics of benign Spitz nevi are red or brown coloration, dome-shaped and large size. Some Spitz nevi can reach up to 2cm in diameter. Most exhibit initial rapid growth, after which they may disappear with time. 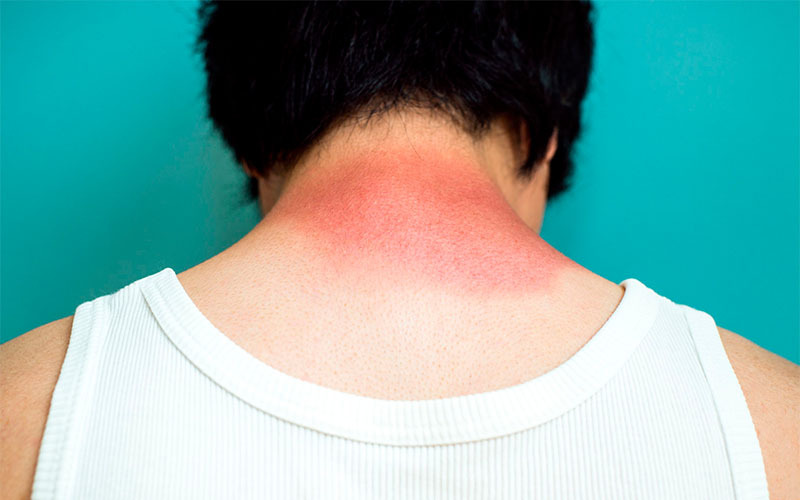 UV radiation is thought to be the main cause of Spitzoid melanoma. Fair skinned people and those with blue or green eyes are more prone to the disease. 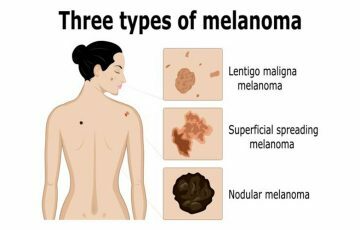 Other risk factors may include weakened immune system, family history of melanomas and a condition which makes cells unable to recover from sun damage. Most Spitz nevi do not develop into melanoma. This is especially if they grew before adulthood. The problem is that the ABCDEs cannot effectively be used to identify early warning signs. 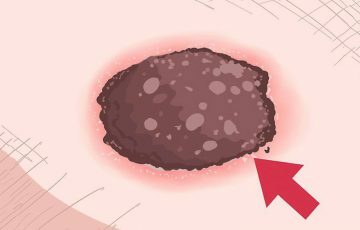 In early stages, a Spitzoid melanoma is regularly shaped and appears as a normal nevus. Slowly, signs of lost symmetry set in. Some tumors may have the normal brown, black or blue coloration. If the malignancy has started in an amelanotic lesion, the tumor will be skin-colored, red or pink. With time, more cells will be produced. This will in turn make the original nevus larger. Ulceration may also occur, after which crusting will occur. Spitzoid melanomas are usually very firm. Neck and head areas, especially the face, are the mostly affected areas. Signs may also show up in the limbs or any other part of the skin. For example, an amelanotic nodular lesion can develop on the skin surrounding the nail plate. 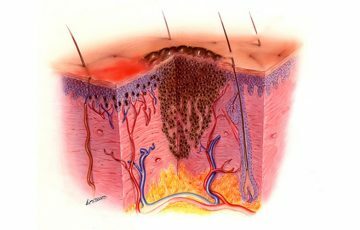 See acral lentiginous melanoma pictures for illustrations. Spitzoid melanoma in children is rare. But since cutaneous melanoma is also particularly rare in children, the disease has a high incidence rate in children. Misdiagnosing Spitzoid melanoma can be of fatal consequences. The problem is that even doctors have trouble differentiating a Spitzoid melanoma from a Spitz nevus. One way an early Spitzoid melanoma can be identified is by looking for recent changes in an amelanotic lesion. Sometimes, there will be signs of ulceration, but mostly loss of symmetry and emerging irregularities at borders. 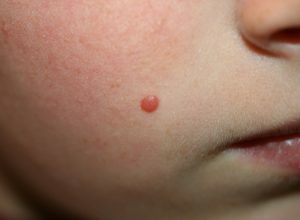 Spitzoid melanomas often appear singly. Though firmly attached to the skin, they tend to bleed easily upon touch. It is best that medical attention be sought once such signs show up in children. A doctor will take a biopsy and examine it under a microscope. 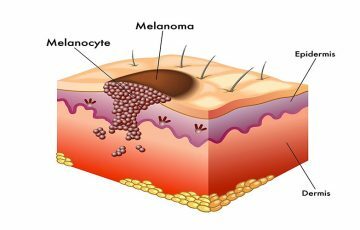 An effective prevention approach is to get a Spitz nevus or amelanotic nodular lesion removed even without metastatic melanoma symptoms. 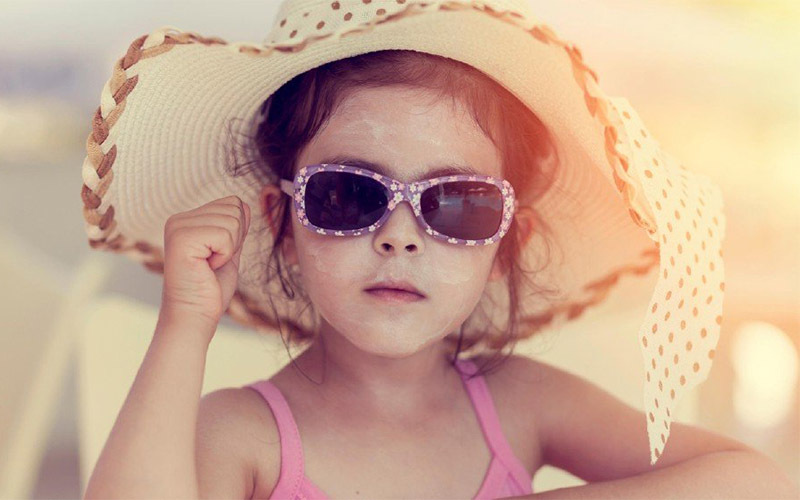 You find that malignancy may not develop in the early ages but accumulative sun exposure may trigger it later in life. Hemangioma – a hemangioma appears as red or purple patch of skin discoloration. It mostly appears in infants but can also occur in adults. The condition is harmless and painless. Resulting lumps don’t keep growing in size. Mole – moles are usually dark brown in color. They result from clustered melanocytes which are not malignant. Most moles do not enlarge beyond 5mm. 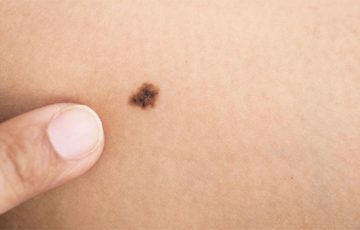 Spitz nevus – this is a rare type of mole. It can grow as large as 2cm although some are much smaller. 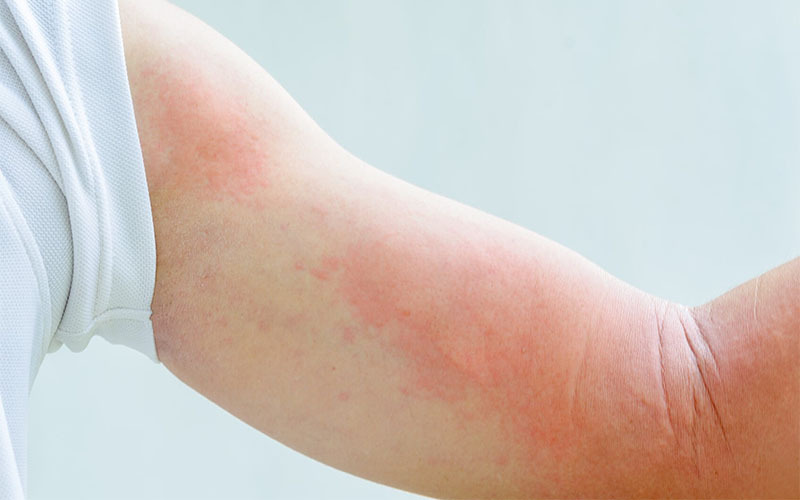 Spitz nevi that develop in adulthood are more likely to be malignant. Basal cell carcinoma – this is another type of skin cancer. It more treatable and less aggressive compared to melanoma. Common signs include ulceration and continued tumor enlargement. Pyogenic granuloma – this is a benign but possibly discomforting condition caused by abnormal growth of blood capillaries. It commonly occurs in areas that have recently sustained injury or trauma such as from an infection. 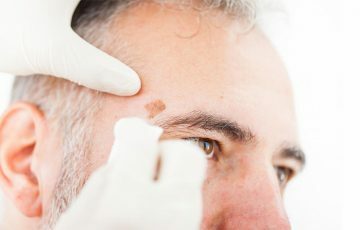 Possibly the only way to identify a Spitzoid melanoma in its early stages is checking for signs of lost symmetry and irregular borders in amelanotic lesions or a Spitz nevus. 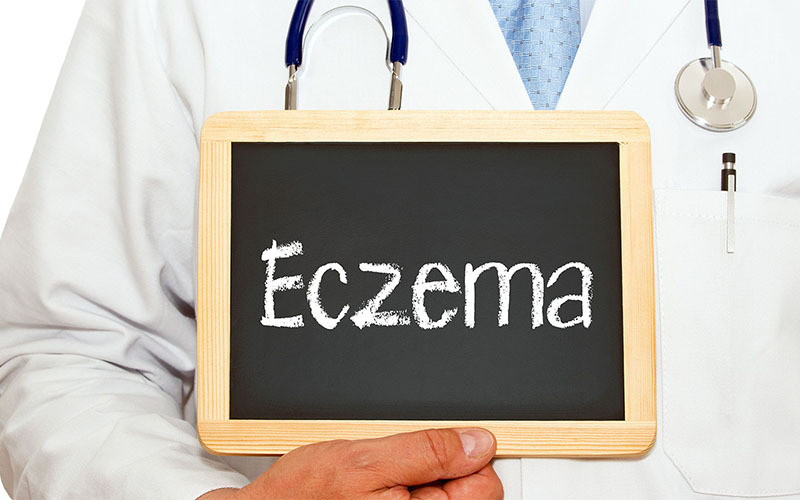 The fact that Spitzoid melanomas mostly affect the face and limbs may also help. For example, foot melanoma can take the form of a blood blister or an irritation on the upper side of toes. If that is to persist for a long time or grow gradually, become elevated and spread across the skin, medical biopsy will be necessary. 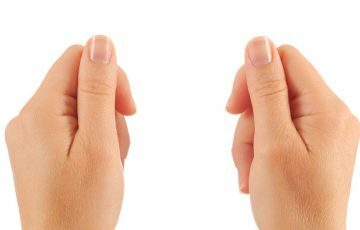 It is not common for Spitz nevi to develop in adults. When this happens, it may be for the best to get the nevus removed entirely. A doctor will first rule out other possible conditions such as hemangioma. To confirm diagnosis, biopsy of skin will be taken. Punch biopsy – here, a circular blade is used to extract a round tissue from the suspicious tumor. This is done under a local anesthetic. Large tumors are best candidates for this type of biopsy. It is therefore common in spitzoid melanoma diagnosis. Excisional biopsy – this involves cutting out the entire tumor and some surrounding tissue. These are then taken to the lab for examination under a microscope. Incisional biopsy – a small tissue from the part of the tumor showing most signs of malignancy is extracted. More than one biopsy may need to be taken for better results. Sentinel lymph node biopsy – this is only necessary when a tumor has been confirmed to be a melanoma. A dye will be injected in place where the melanoma was removed. A biopsy of the lymph node the dye will first reach is then taken. This tests checks for signs of malignancy in local lymph nodes. Immediate diagnosis is always very important regardless of the type of melanoma in question. 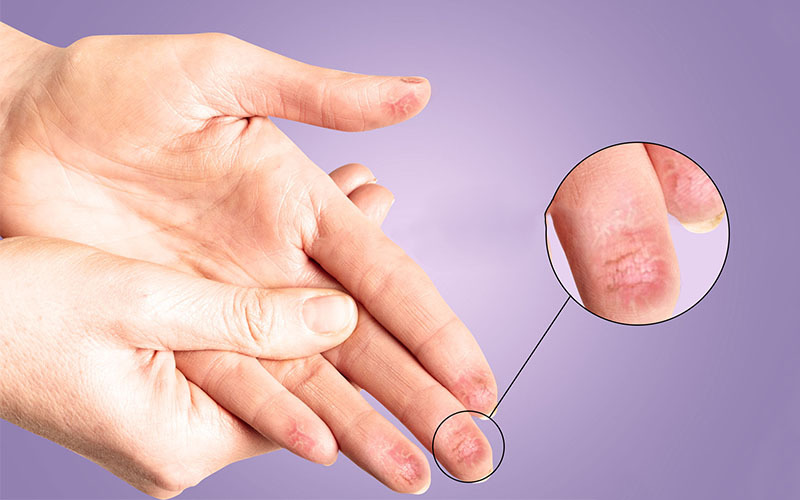 For example, melanoma fingernail early signs can be easily mistaken as a hereditary mark. It is almost the same with Spitzoid melanoma. Spitzoid melanoma treatment depends on several factors, mostly how far it has spread. 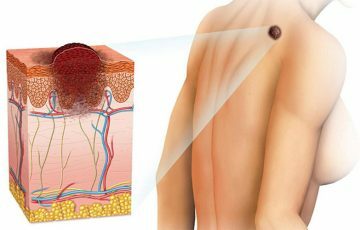 See how fast does melanoma grow for more details on melanoma metastasis. 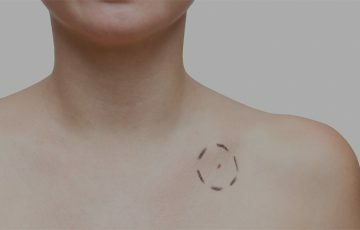 Stage 1 – excision surgery is primarily used to remove melanoma in this stage. The tumor will be removed, after which a wide excision will also be performed. 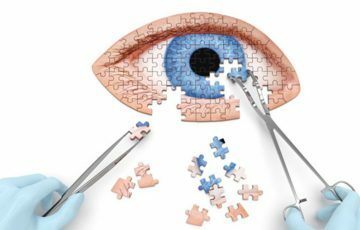 A wide excision usually sees 5mm thick tissue removed from all the surrounding areas. This is to avoid melanoma recurrence. Stage 2 – since tumors in this stage have reached the dermis and probably the subcutaneous layer, surgery will be done to remove the tumor, the subcutaneous tissue beneath and a bit of surrounding tissue. Stage 3 – at this stage, local lymph nodes have been invaded. Early in the stage, only about 1-3 nodes are involved. These are removed with surgery. The tumor plus some surrounding tissue and subcutaneous tissue beneath are also removed. Additional treatments such as radiotherapy and chemotherapy are also commonly used. Stage 4 – tumors at this stage are most advanced. Before it comes to this, many noticeable signs such as gradual size enlargement and ulceration in primary tumor will have occurred. Stage 4 tumors require several treatment approaches. First, tumors that can be surgically removed are cut out. Radiotherapy is used to stop spread and growth in metastasized tumors. Chemotherapy is also used for the same purpose. Since most stage 4 melanomas are hard to completely get rid of, other treatments such as targeted therapy and immunotherapy will be used to suppress tumors and in the process prolong life. Some cases such as melanoma in the brain are far harder to treat with surgery and drugs.